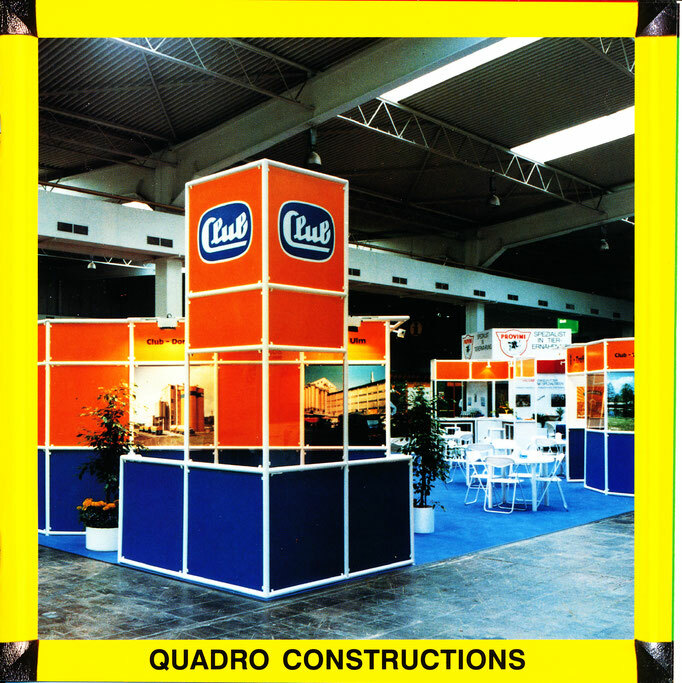 After 3 years of development at the Emil Adolff Plastic Company in Reutlingen, Germany, QUADRO is born. 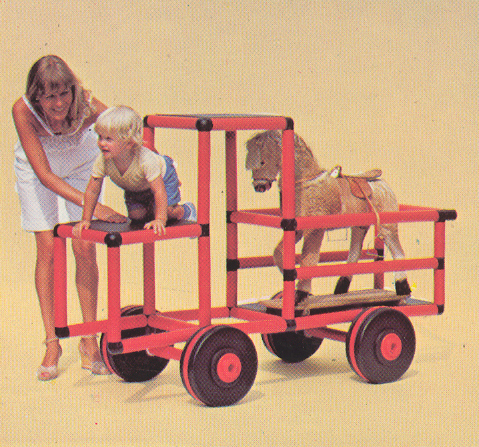 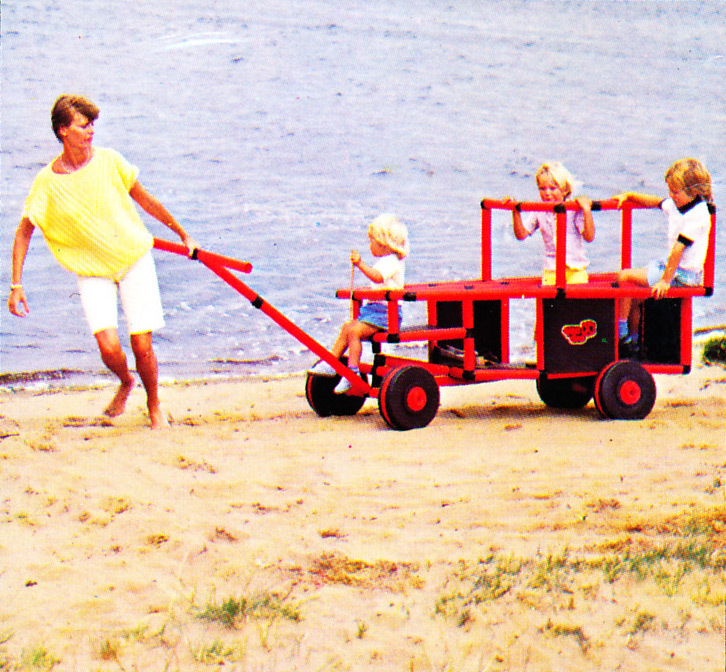 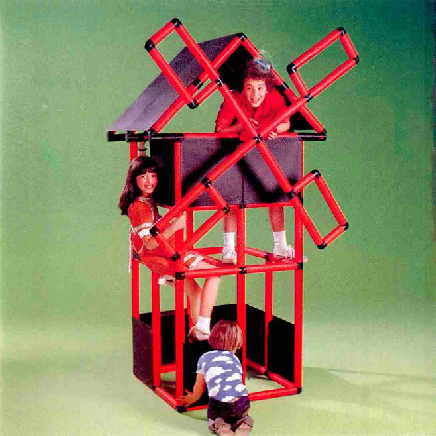 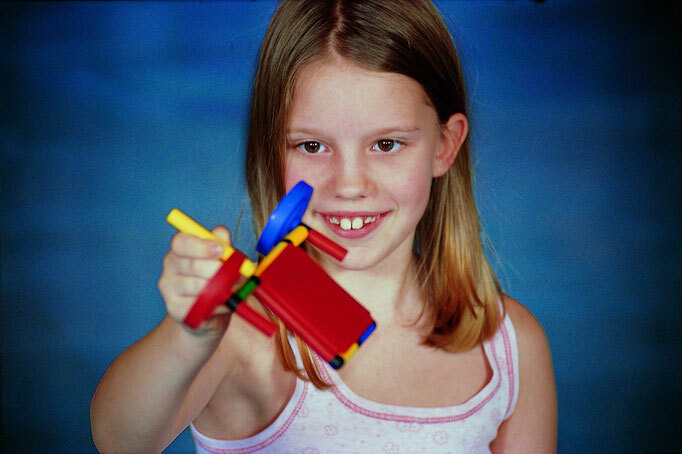 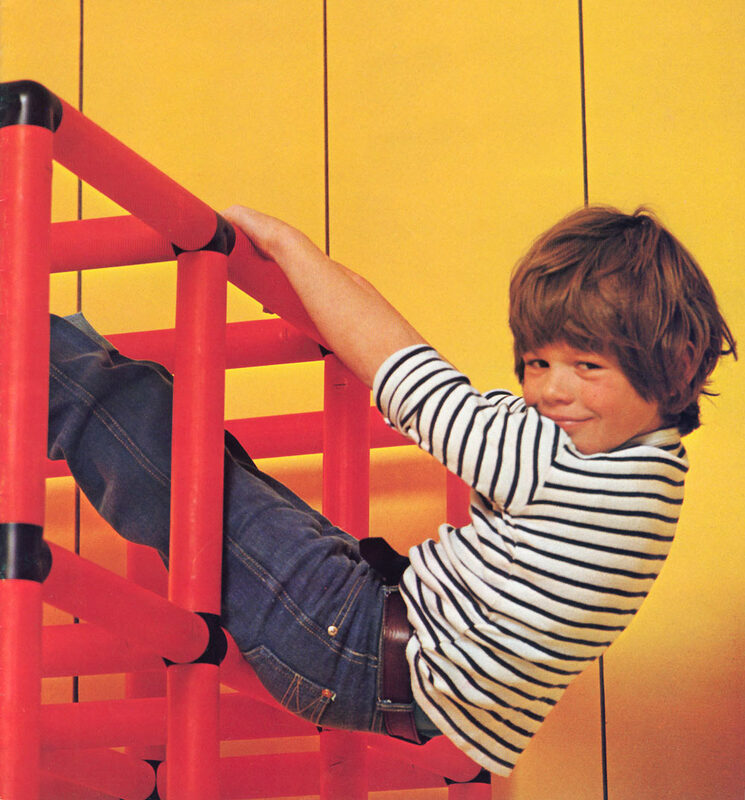 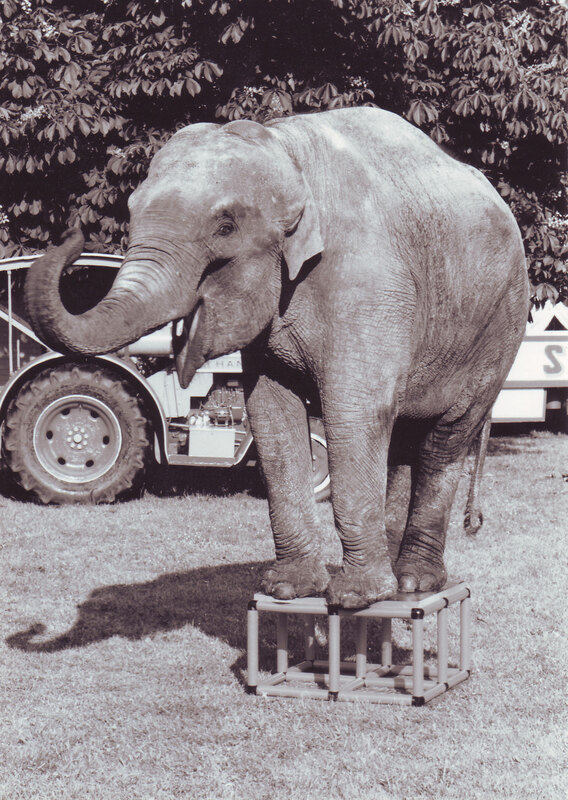 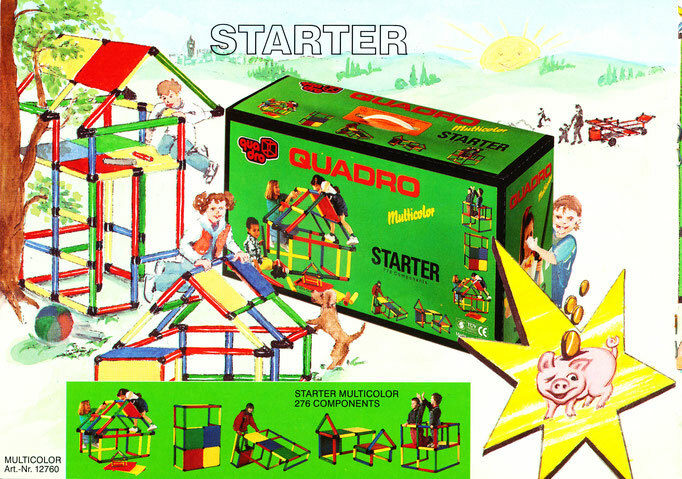 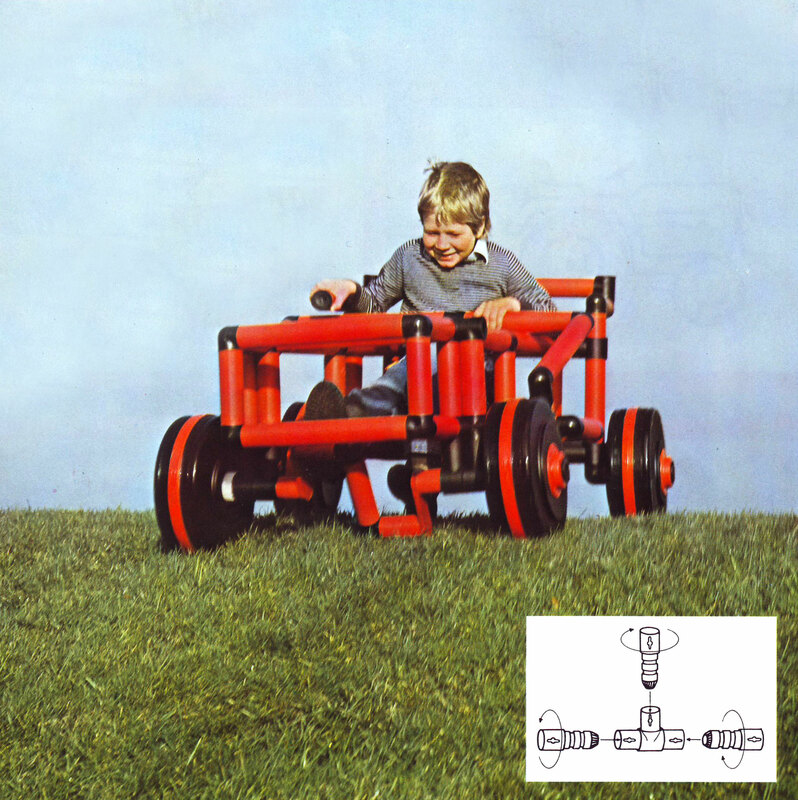 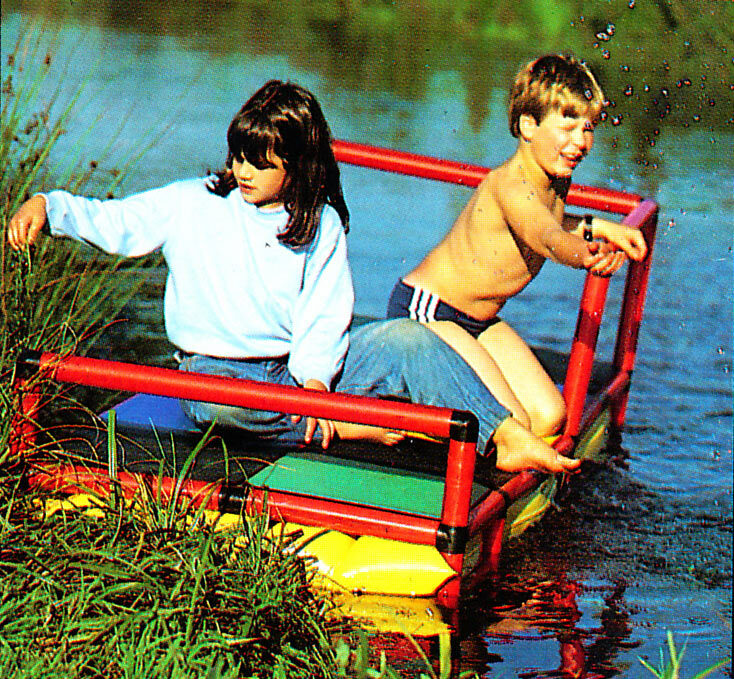 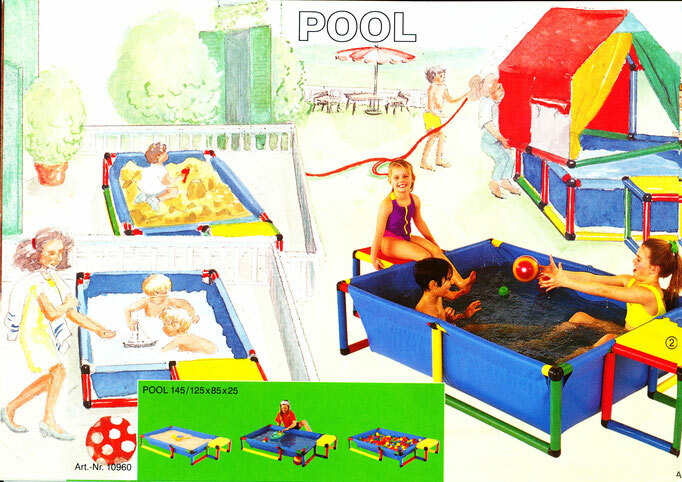 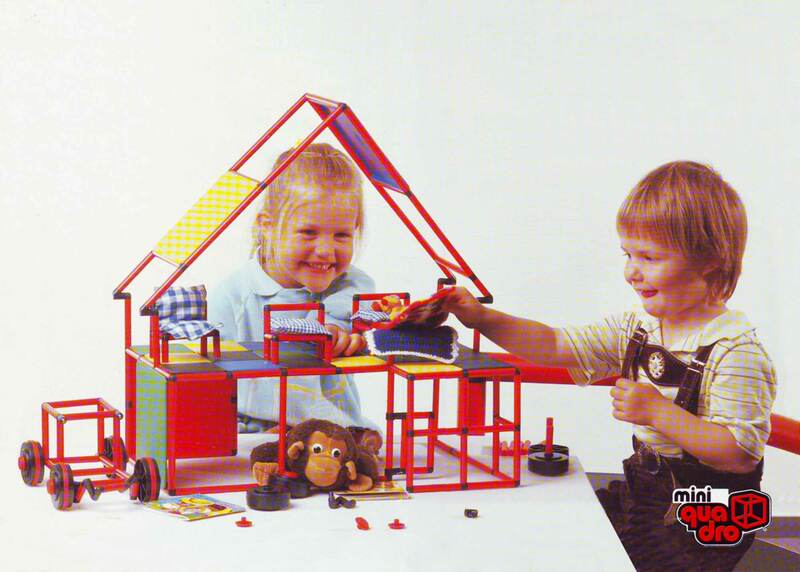 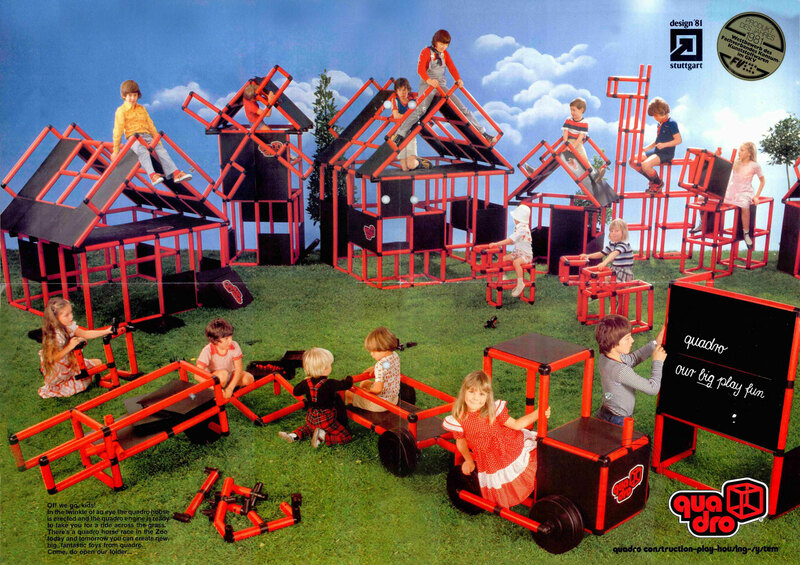 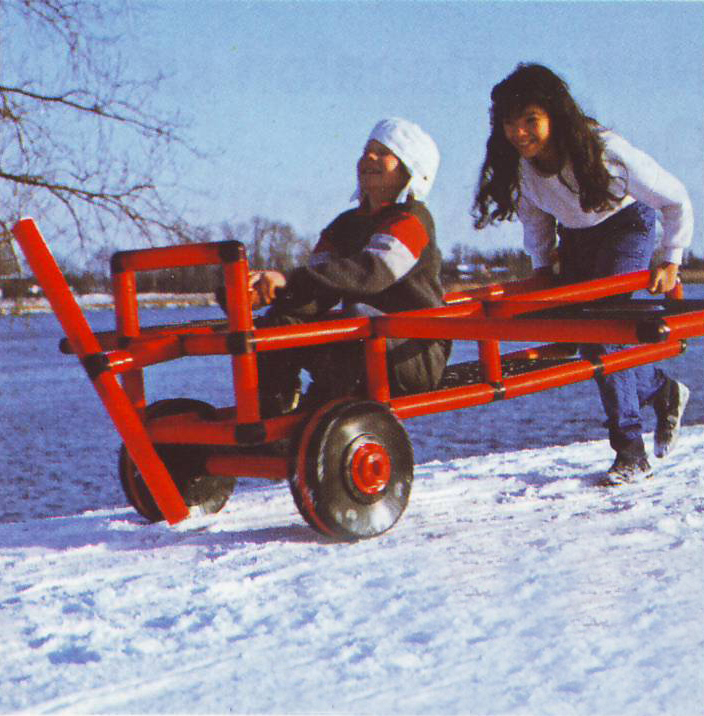 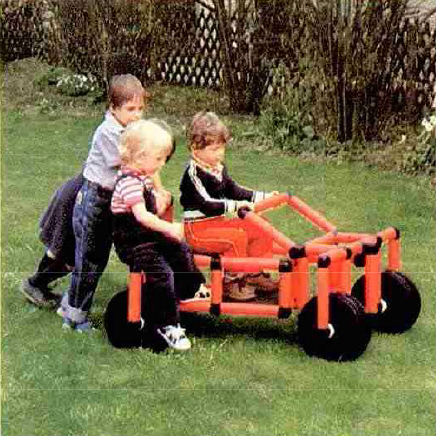 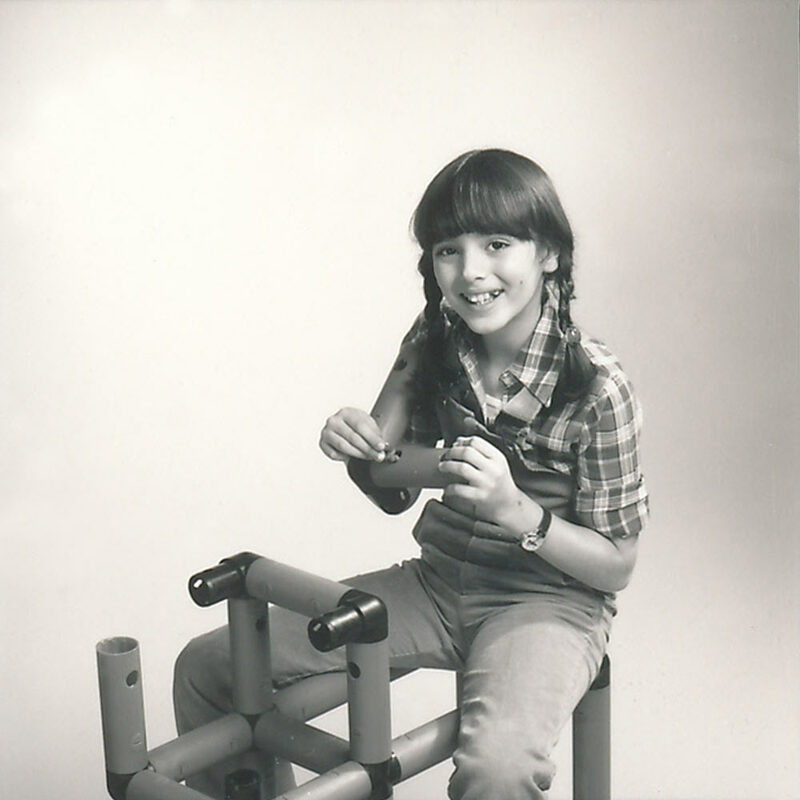 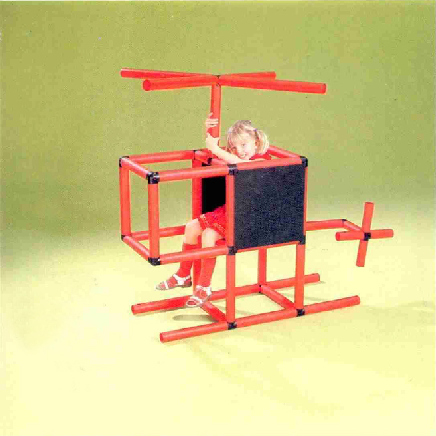 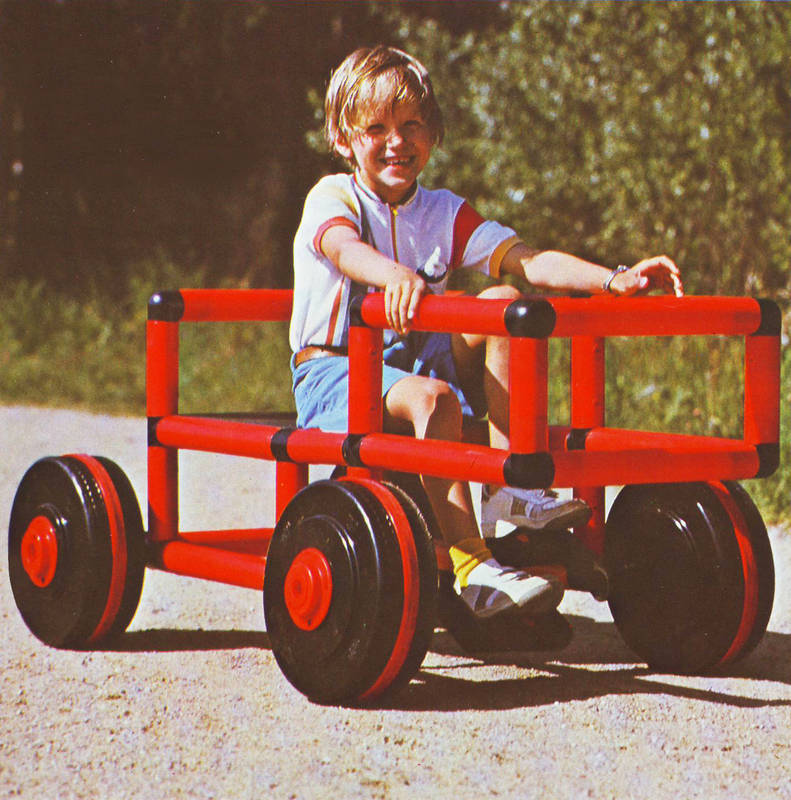 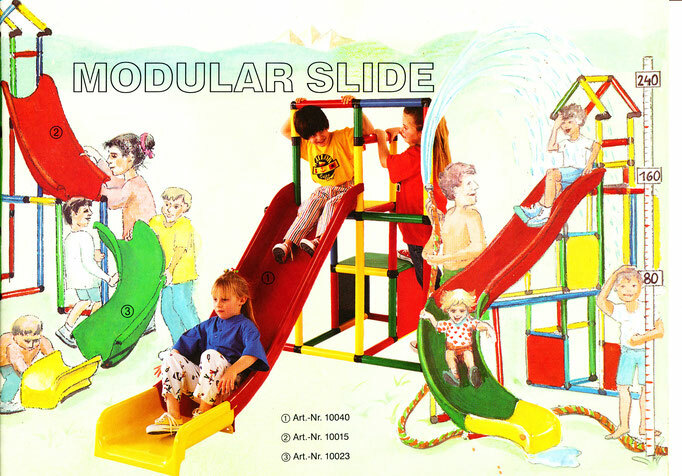 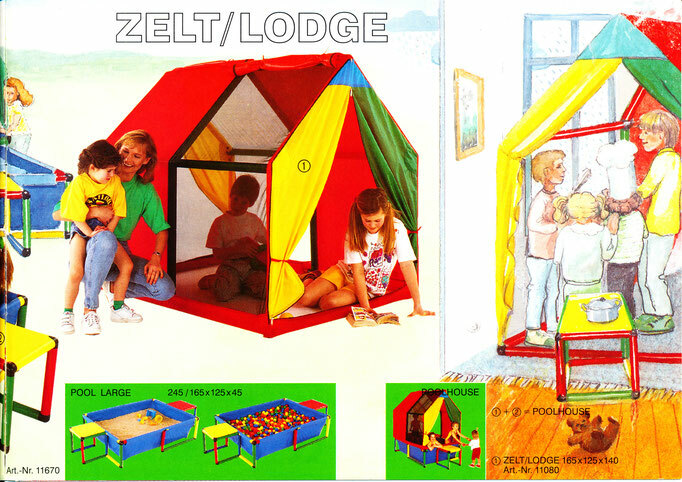 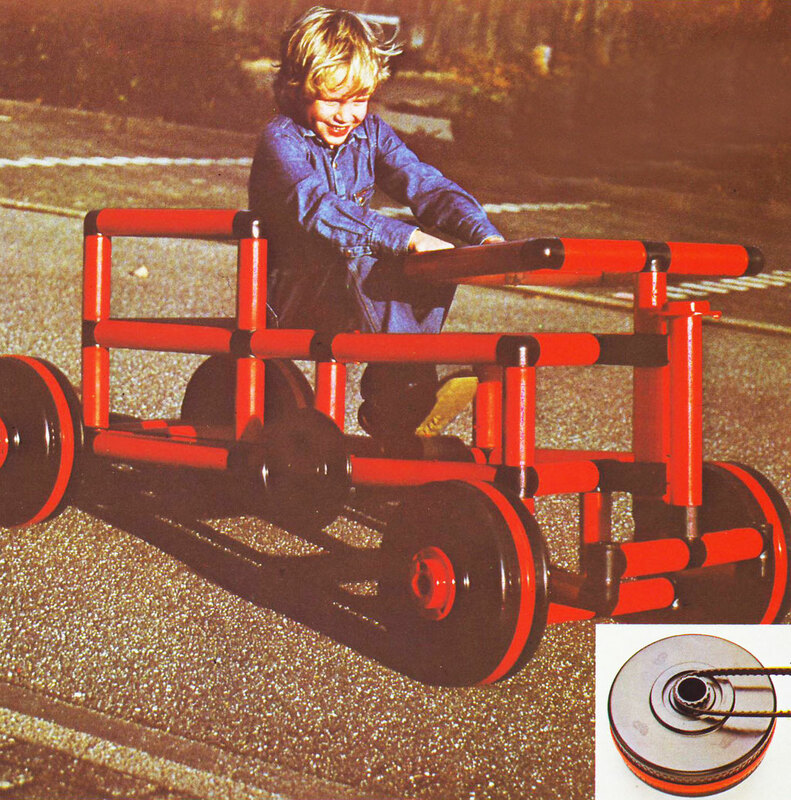 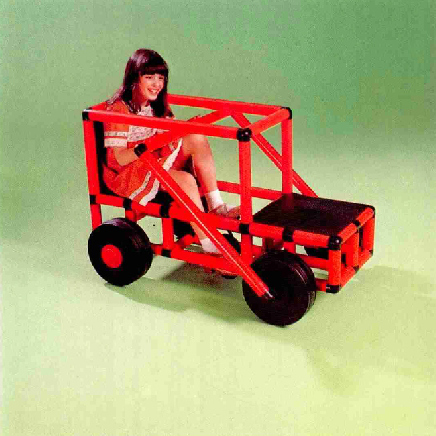 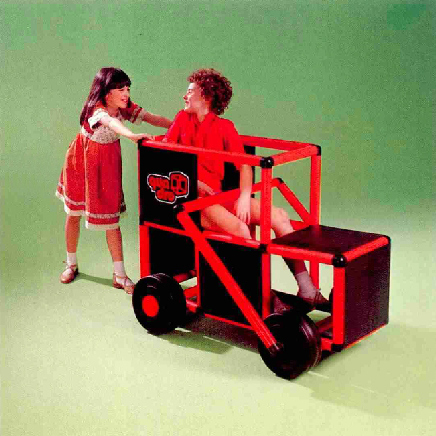 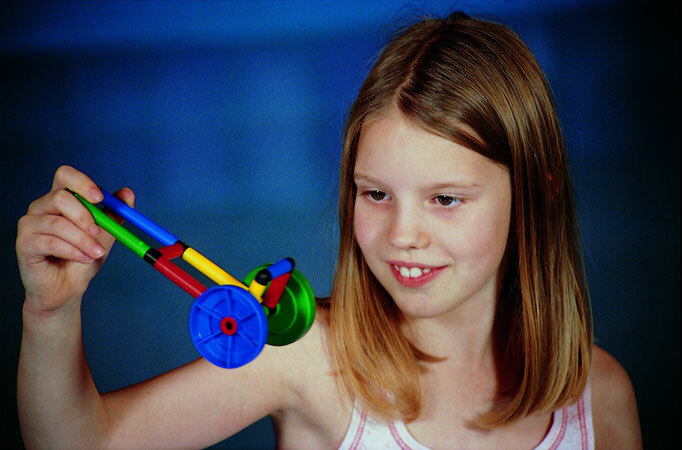 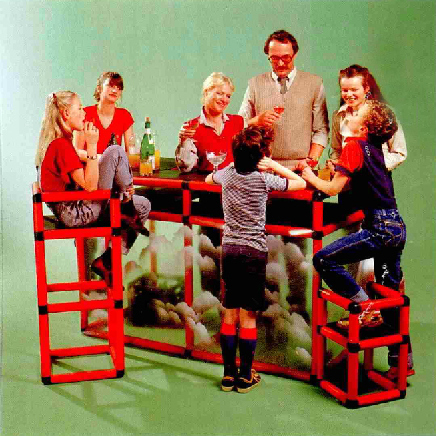 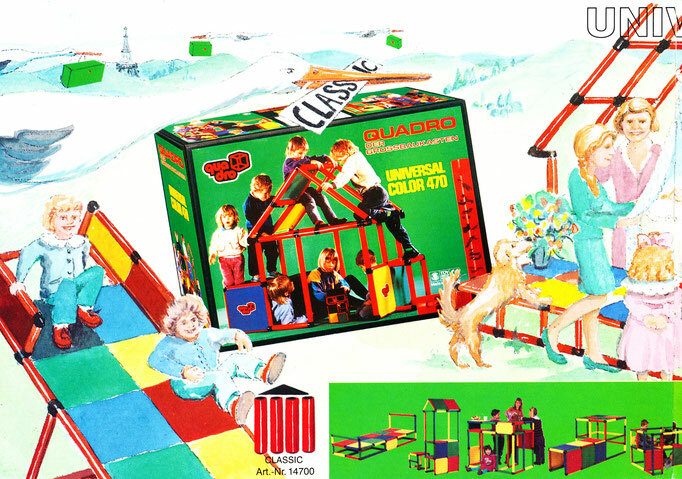 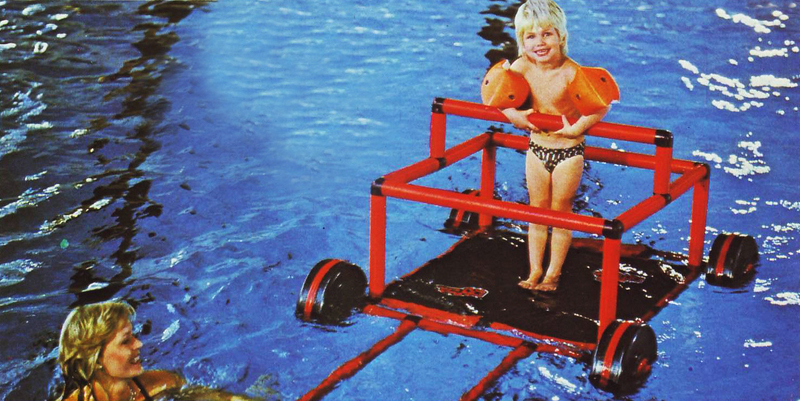 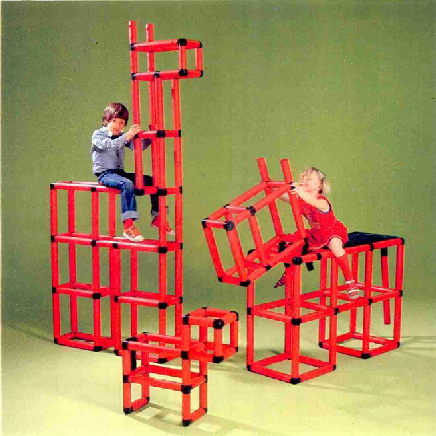 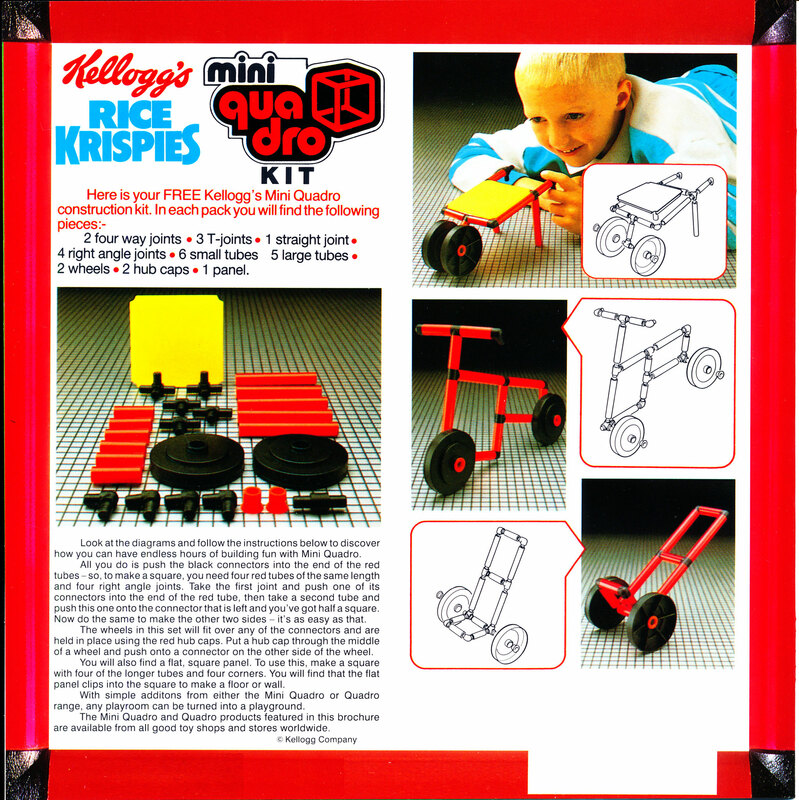 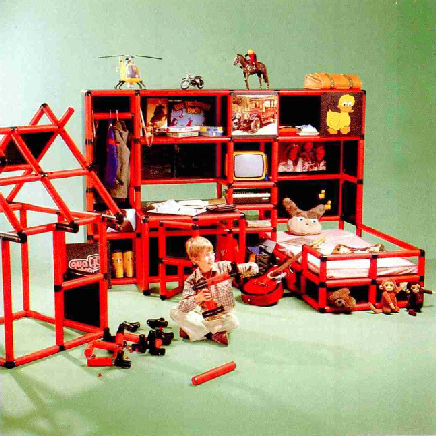 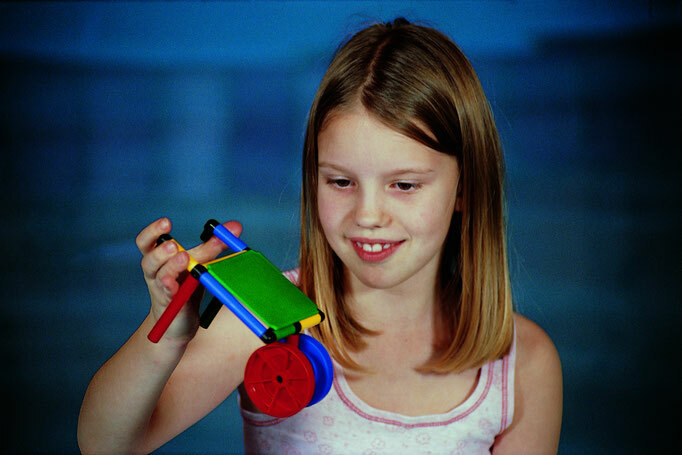 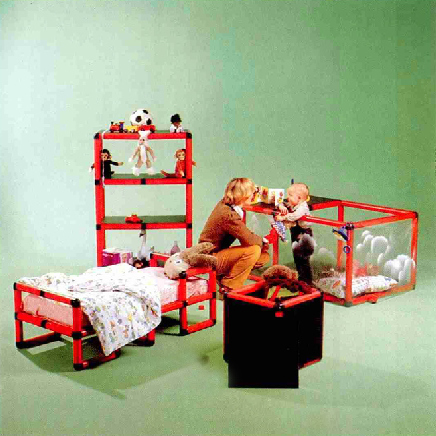 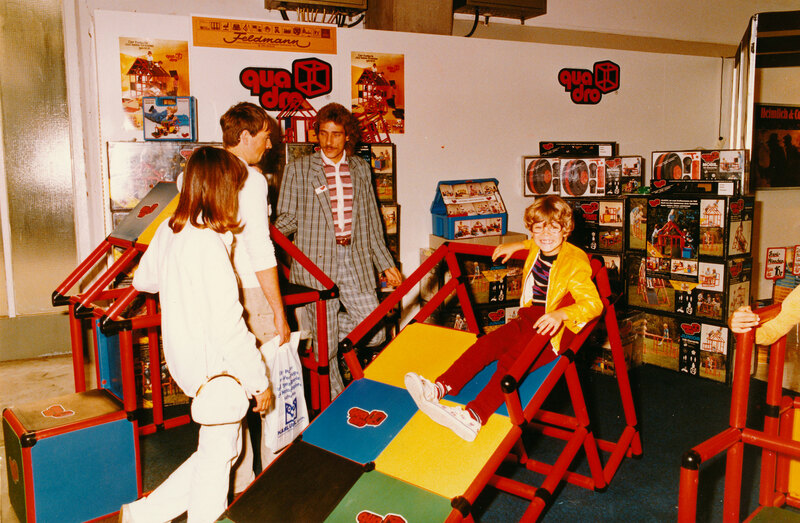 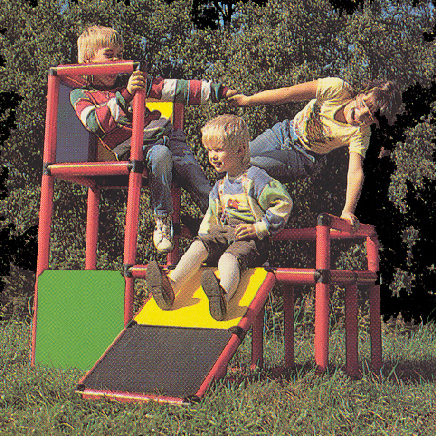 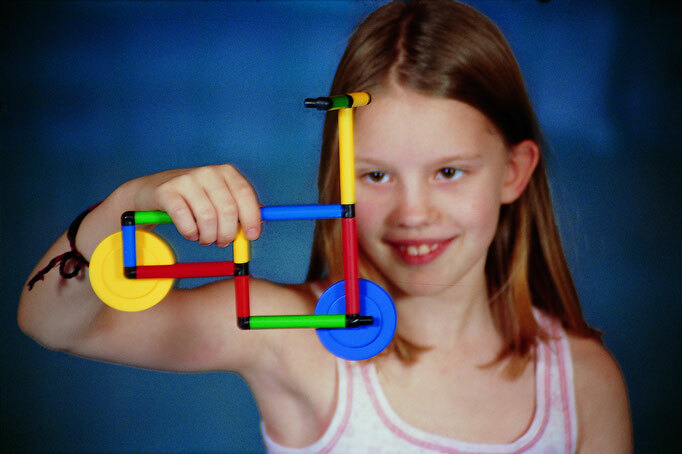 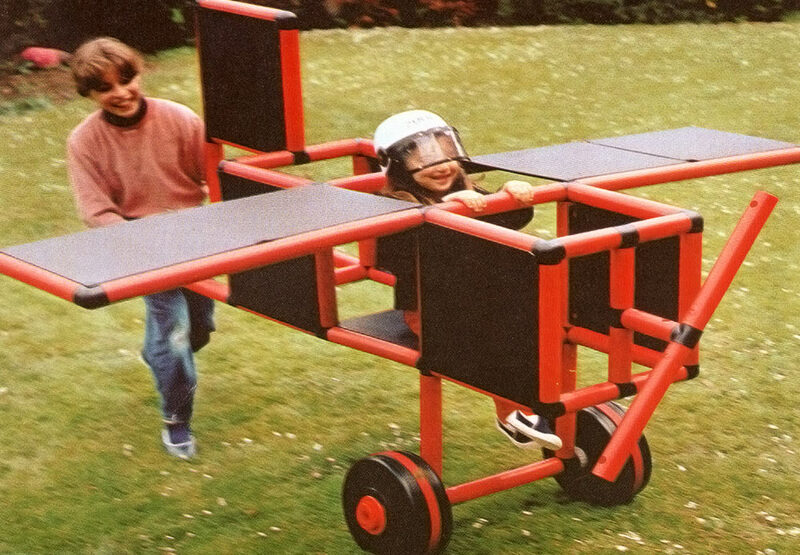 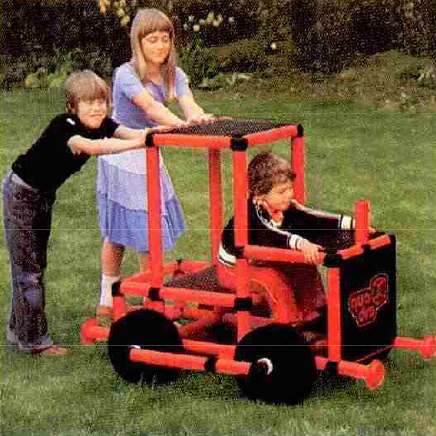 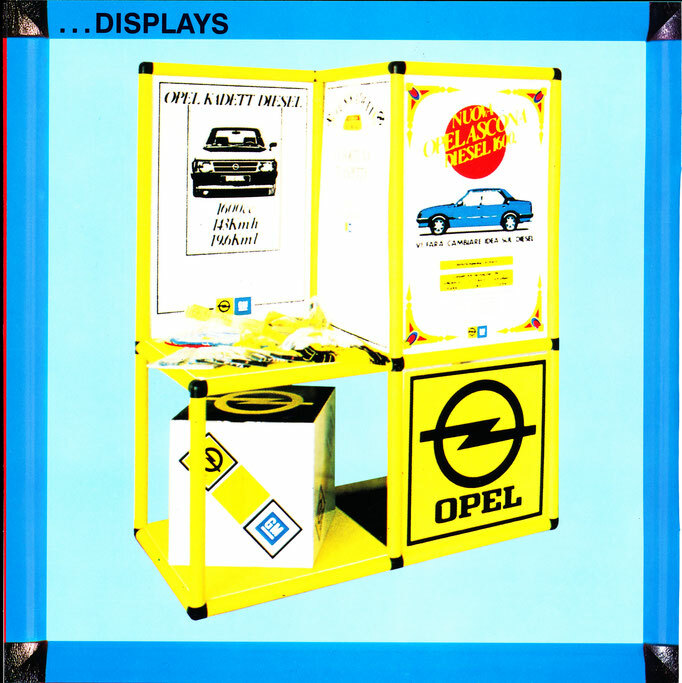 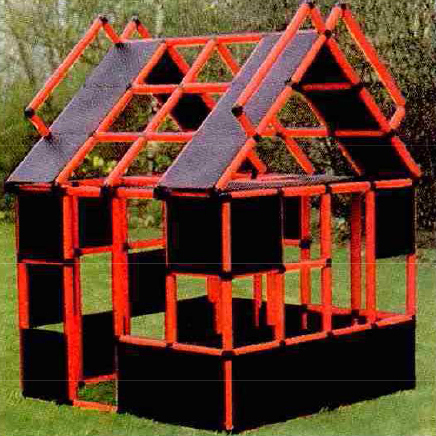 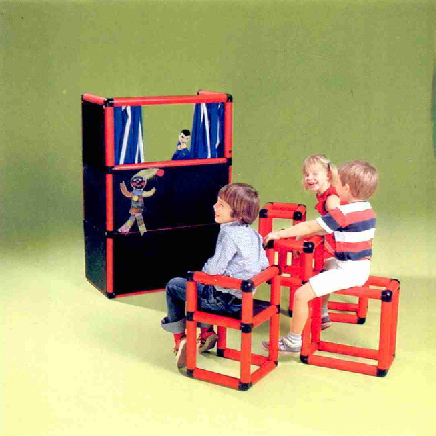 Its inventors, Hubert Georg and Doris Rüther, present it at the 1979 Nuremberg International Toy Fair. 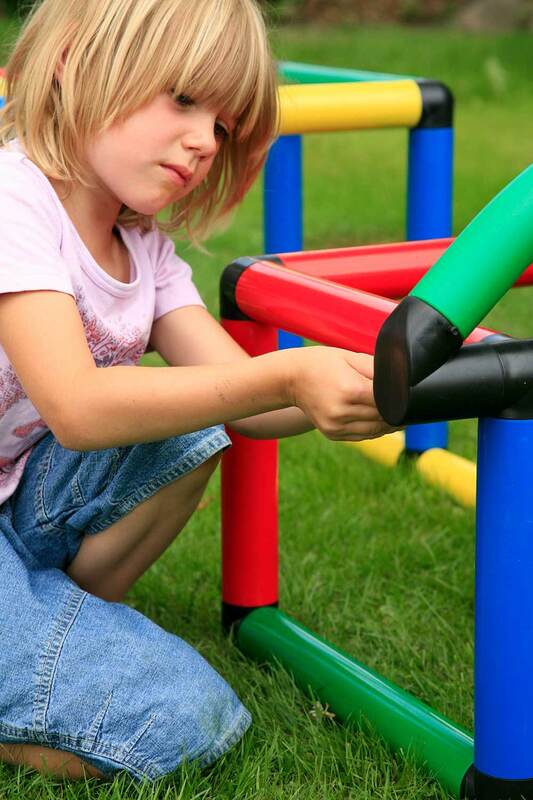 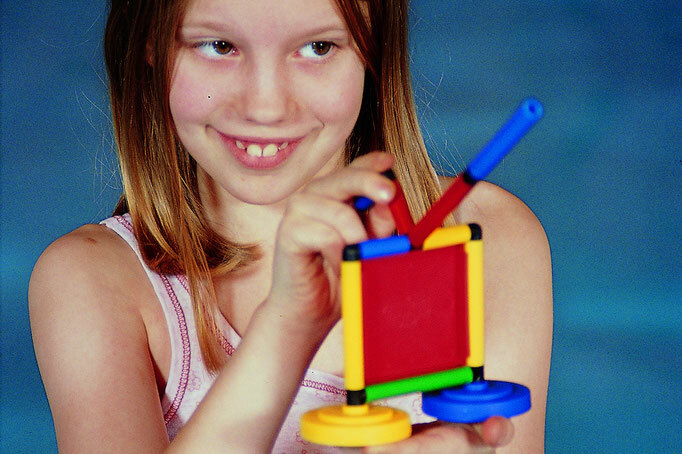 Under the oversight of the German inspection authority, TÜV Deutschland, QUADRO is tested in 16 nursery schools. 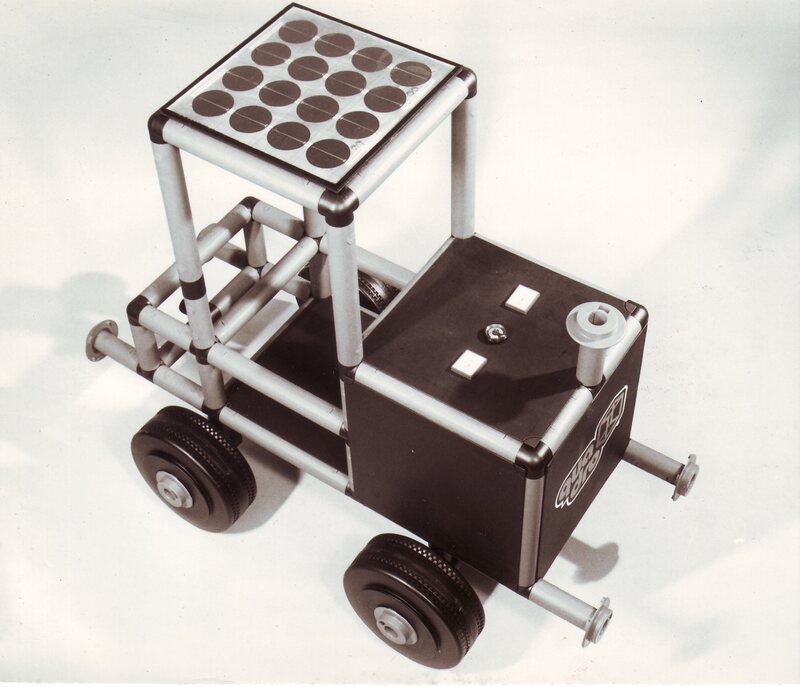 The results are extremely positive and the system is granted certification. 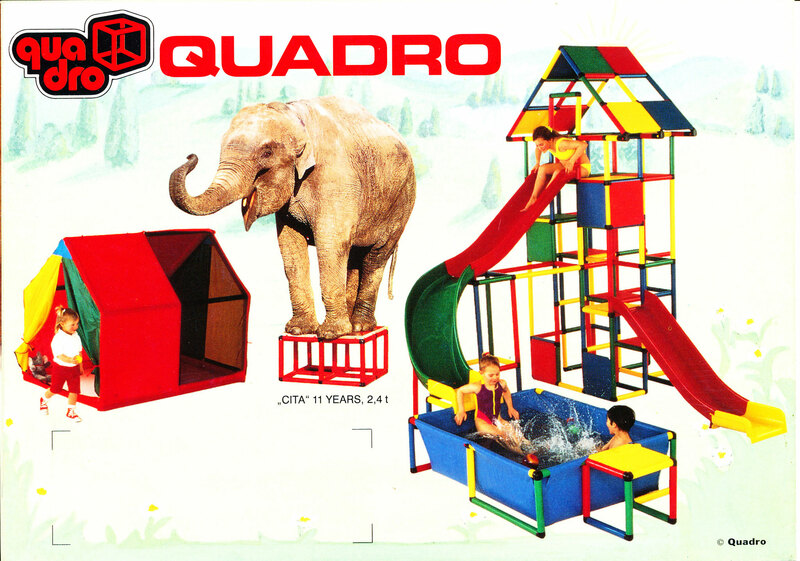 QUADRO splits from the Emil Adolff Plastic Company. 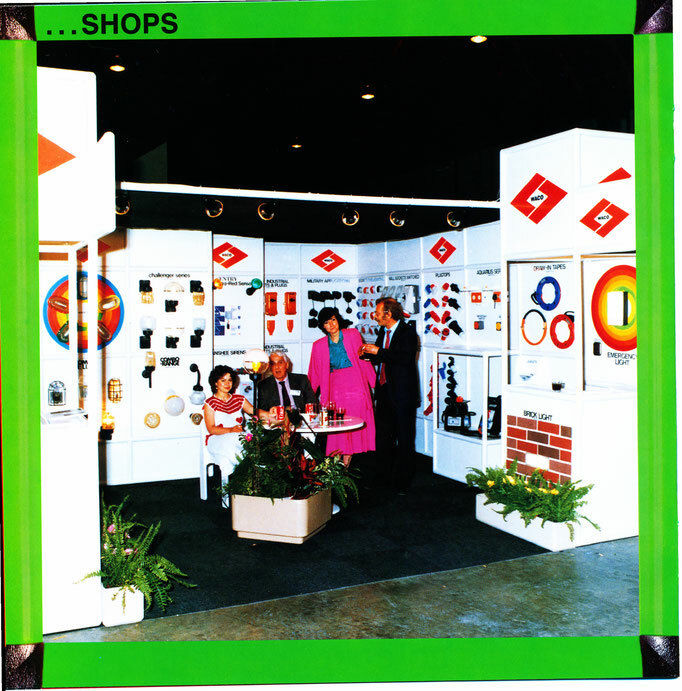 However, they continue to handle production, packaging and storage into the 1980s. 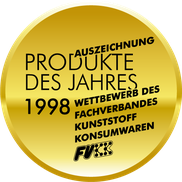 With its outstanding design QUADRO won the Product of the Year Award from the German Trade Association for Plastic Consumer Products. 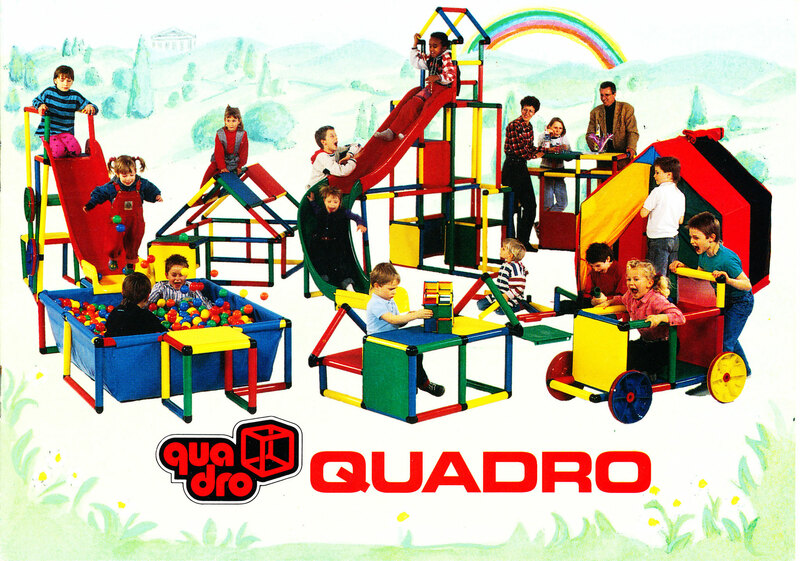 QUADRO continues to grow in little and big ways: miniQUADRO is developed and distribution spreads worldwide. 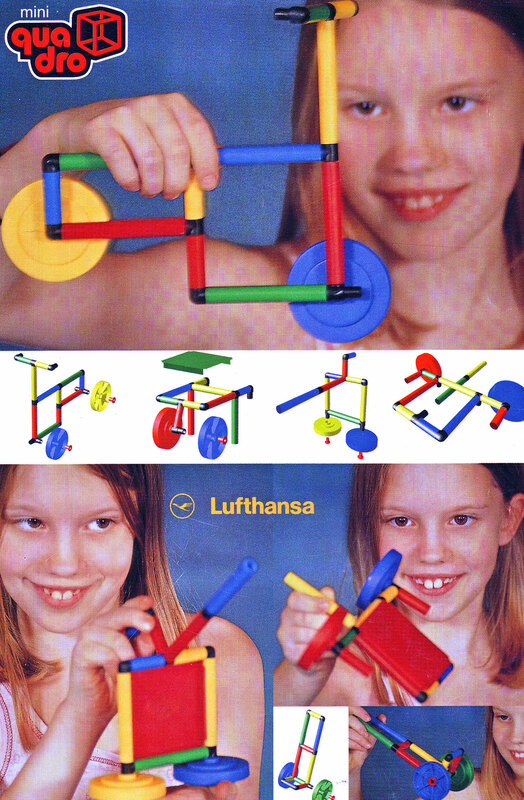 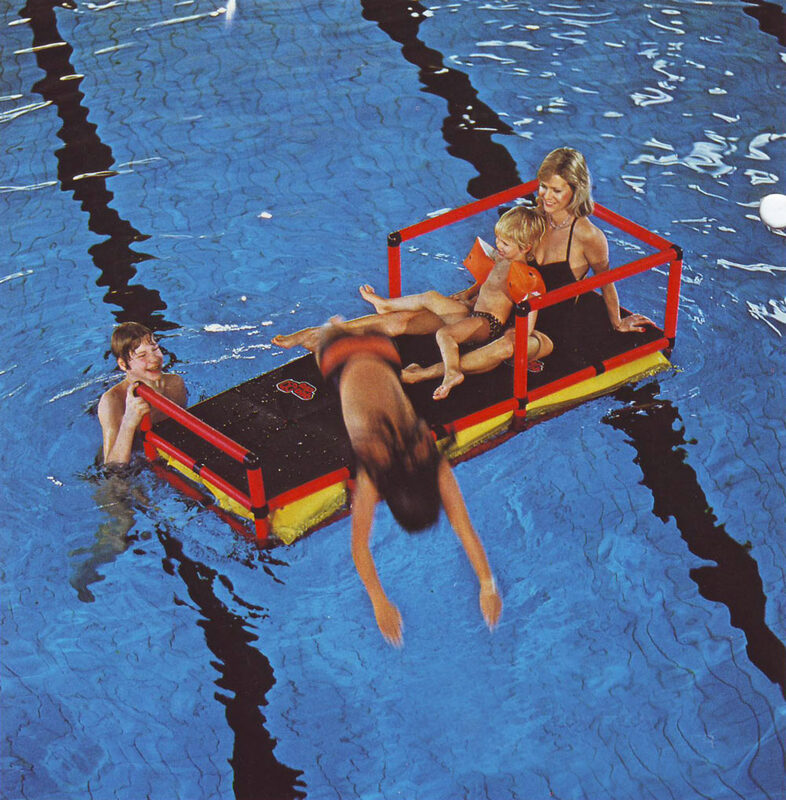 New applications are developed, such as air-filled tubes for floating in water and a mobile kit for adding wheels. 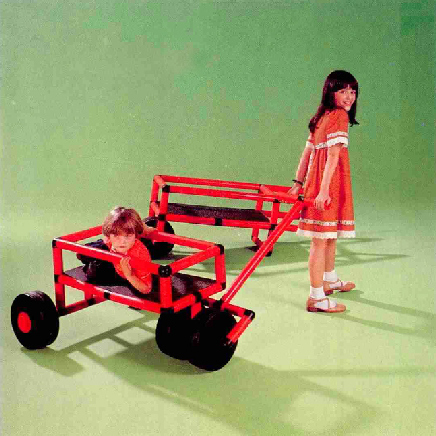 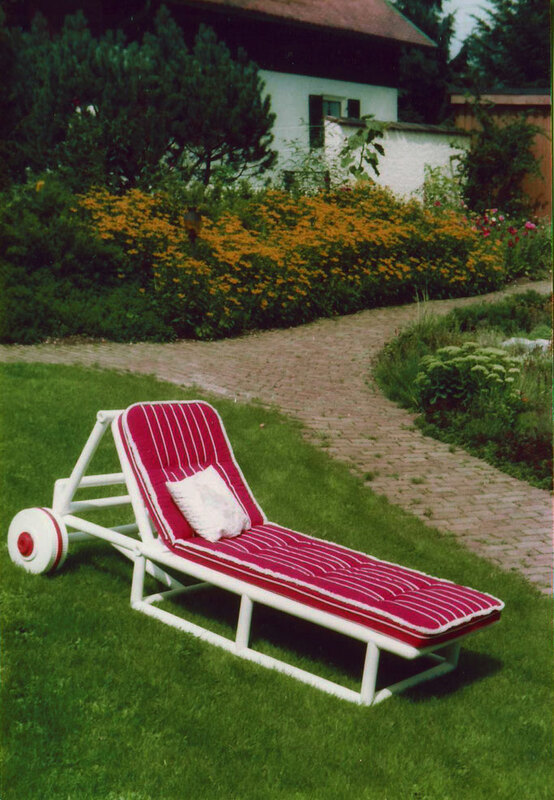 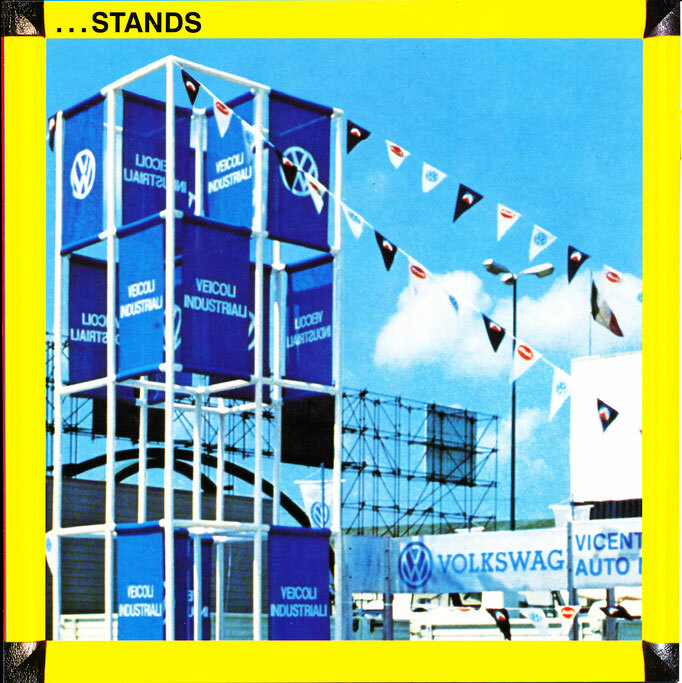 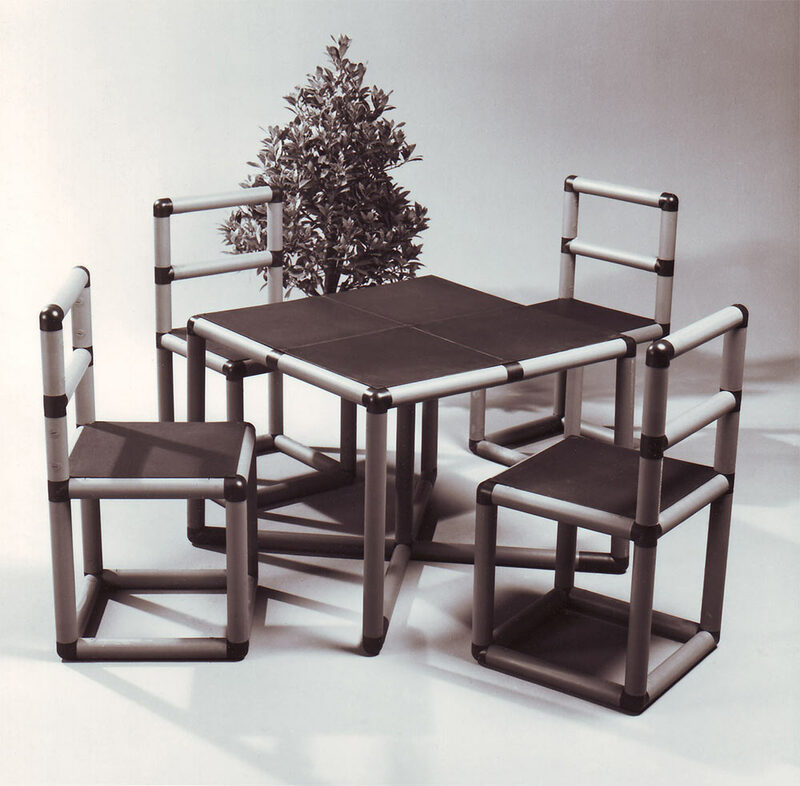 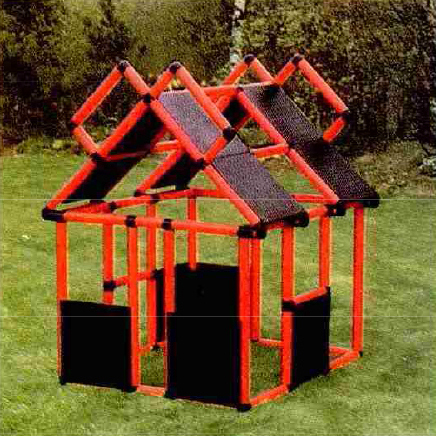 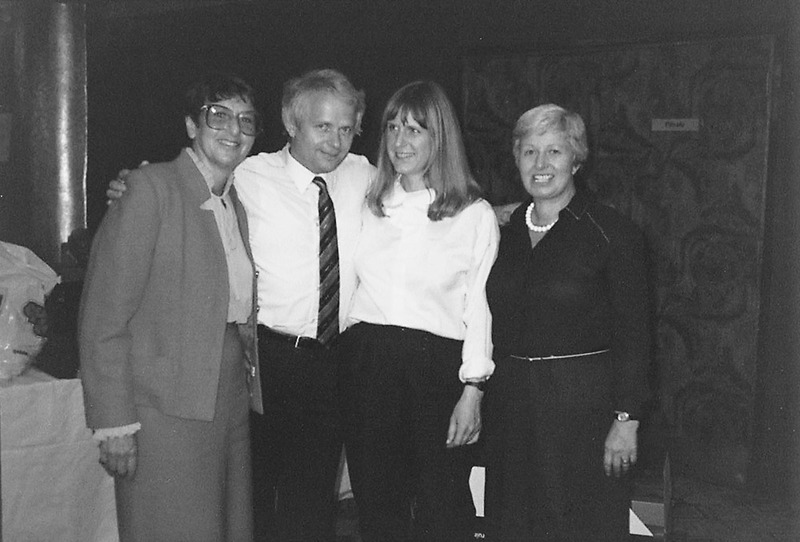 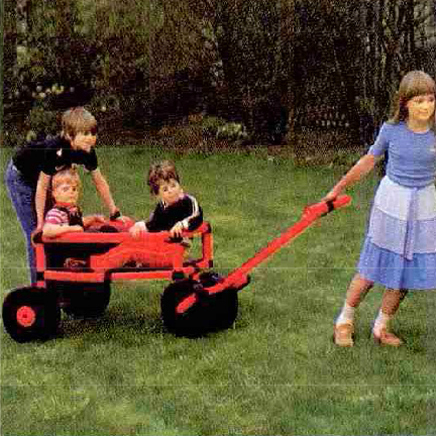 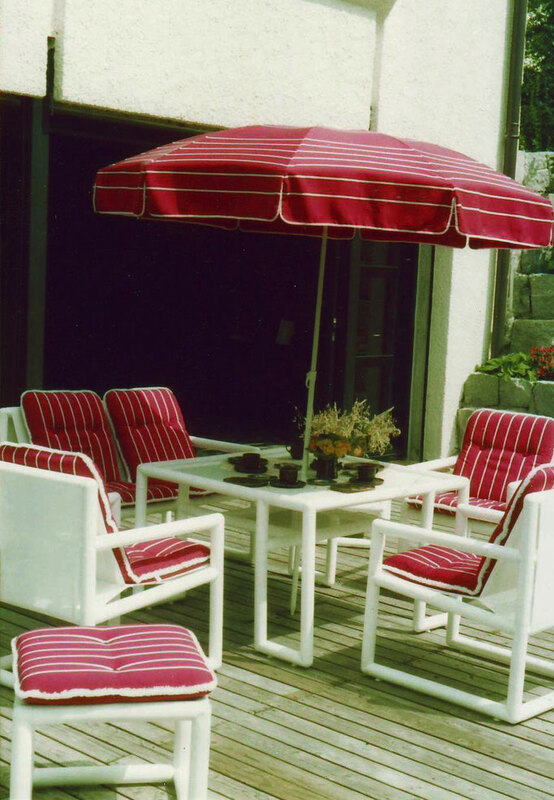 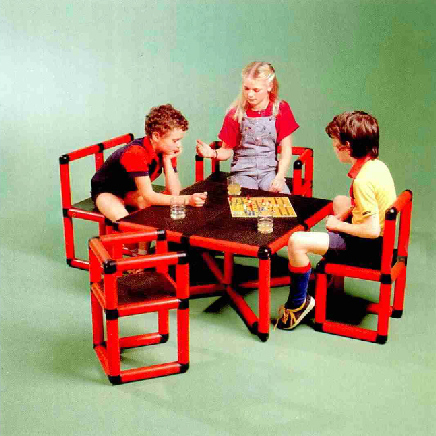 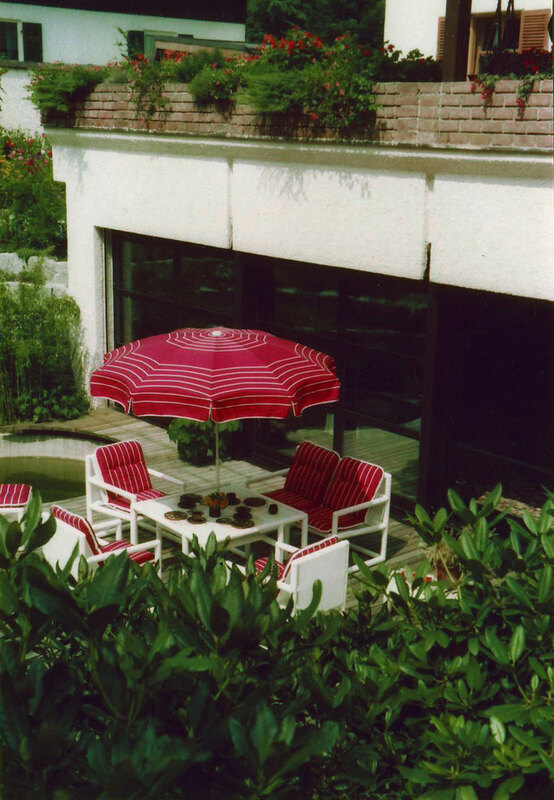 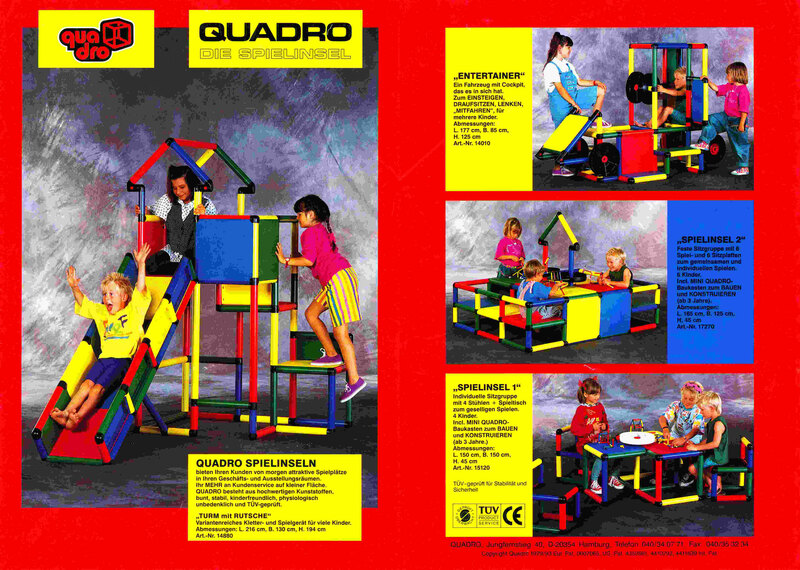 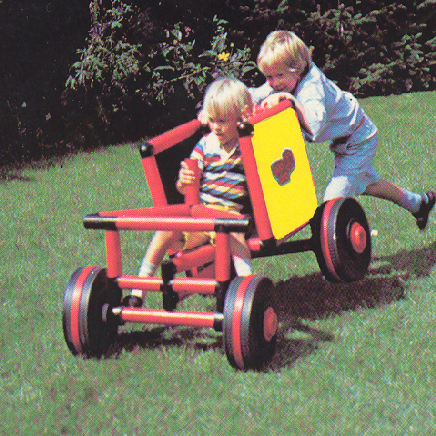 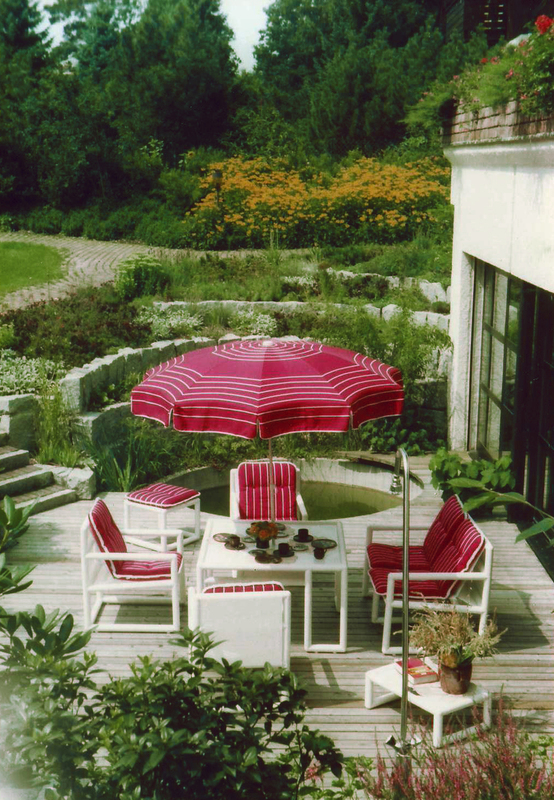 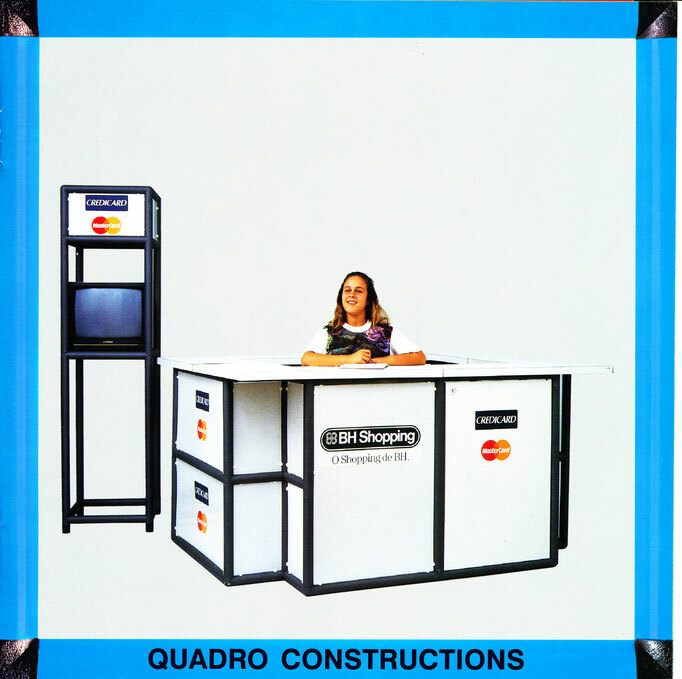 The QUADRO GEAR and QUADRO DRIVE were engineered as well as the QUADRO Garden Furniture and QUADRO Displays. 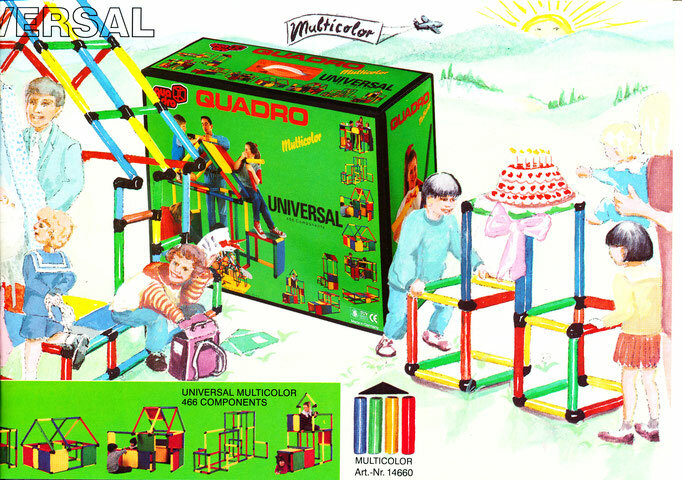 QUADRO gets more colorful. 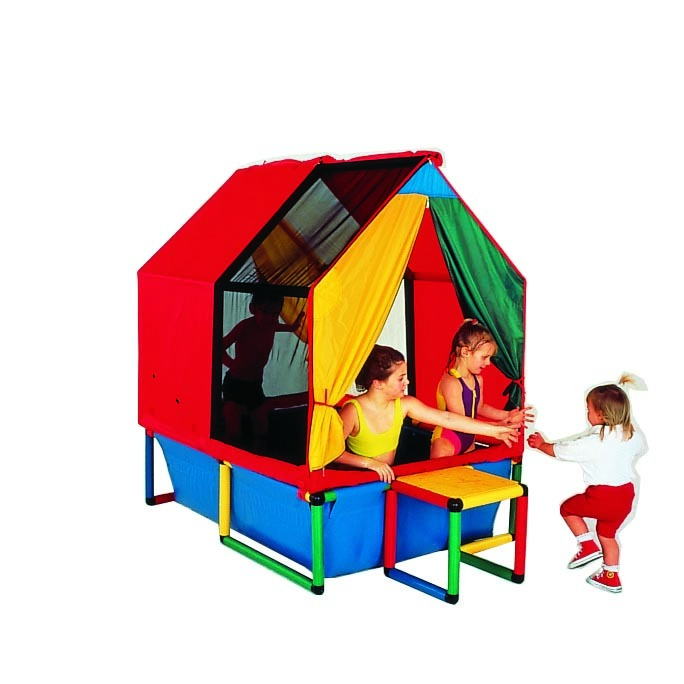 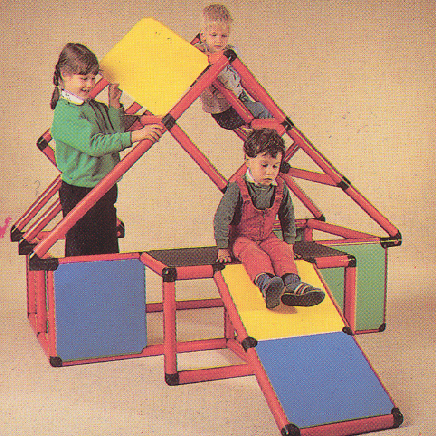 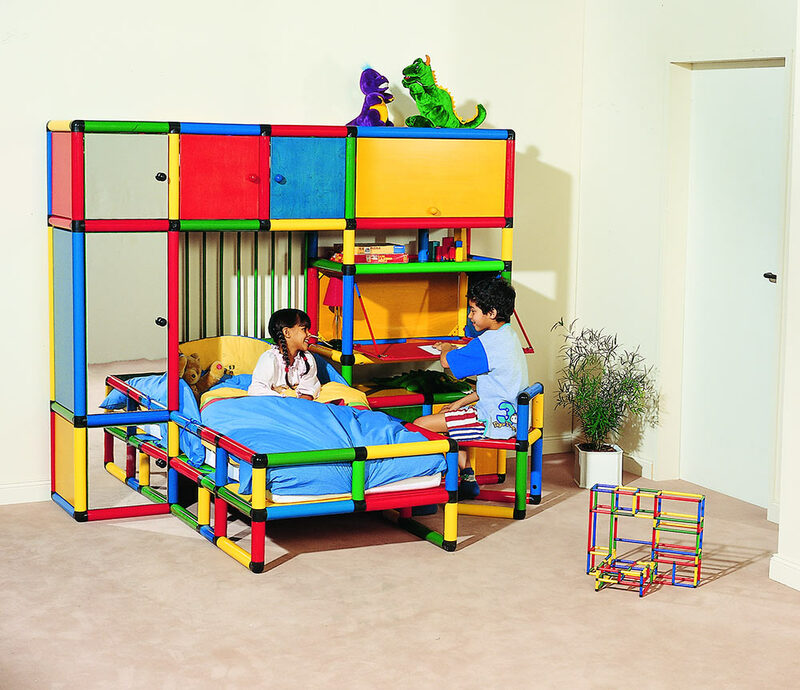 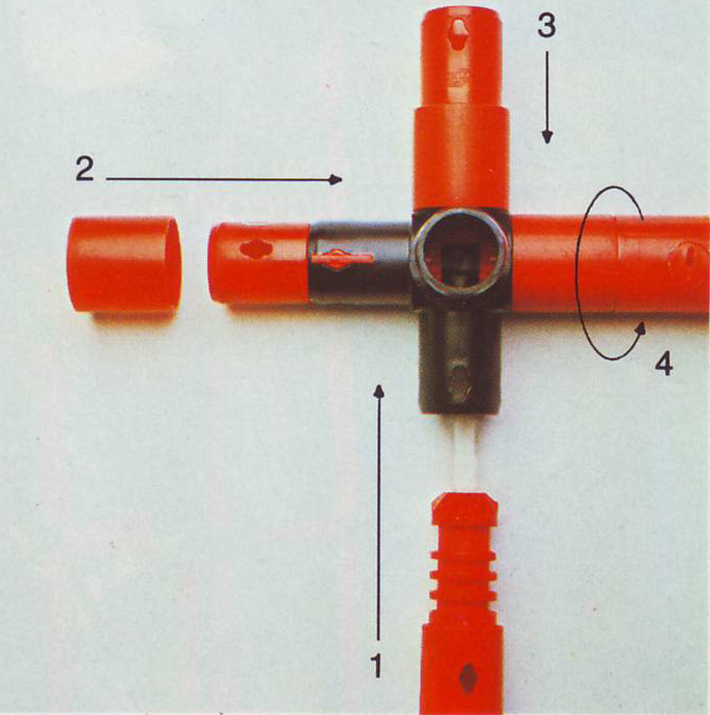 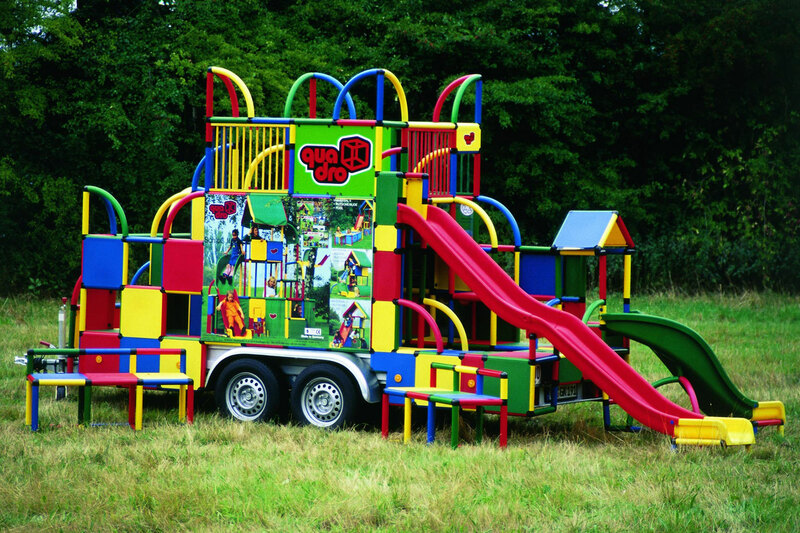 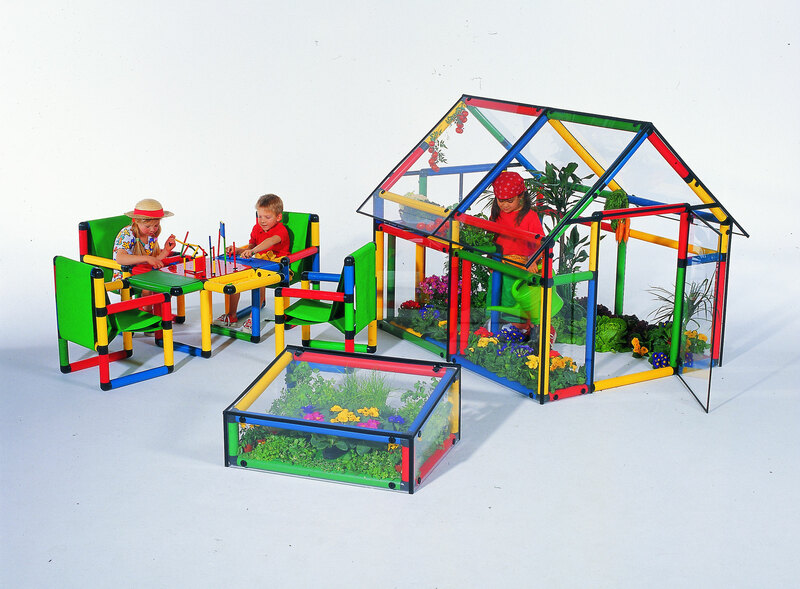 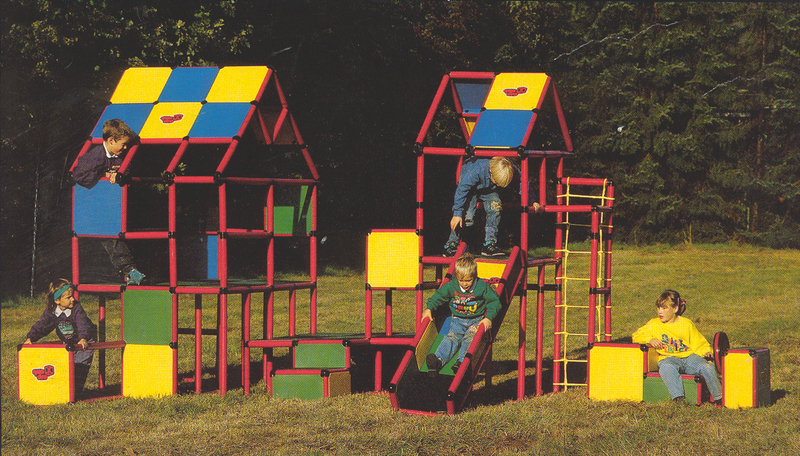 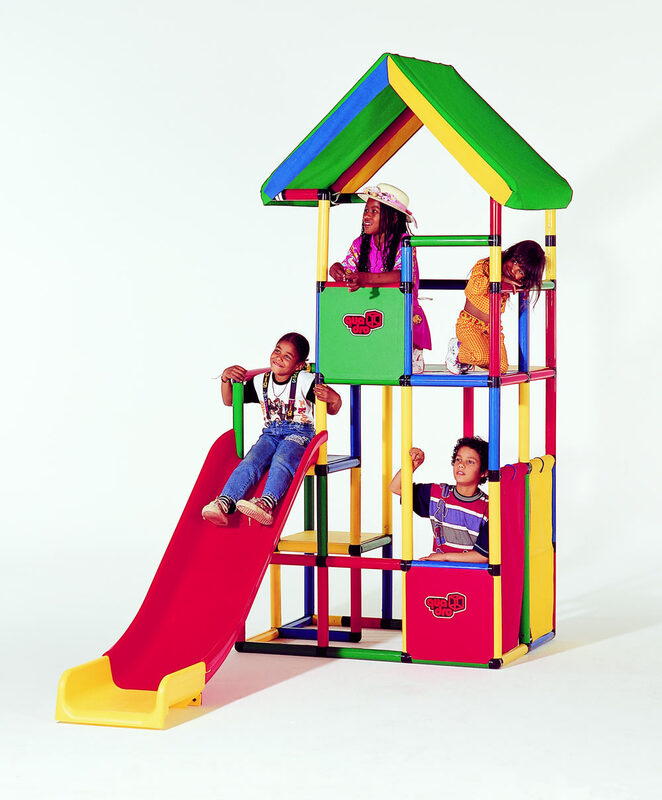 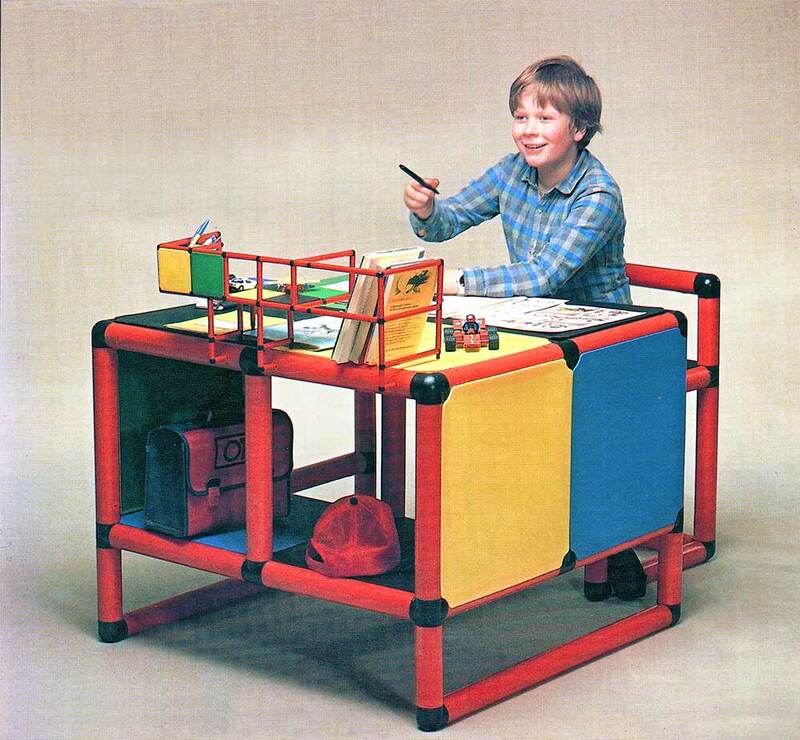 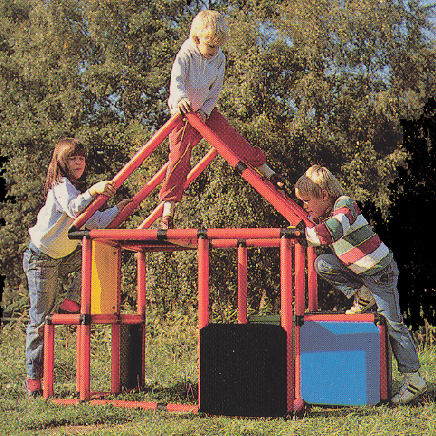 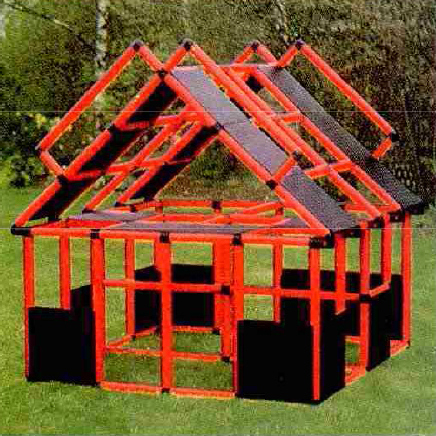 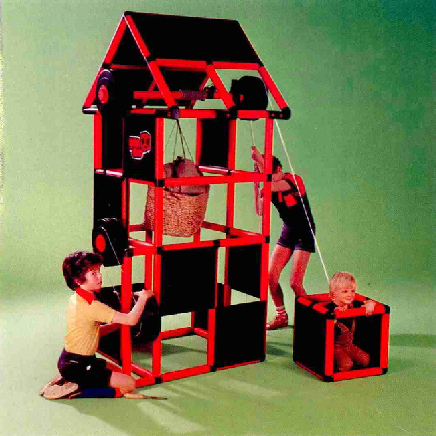 Construction kits come standard with tubes in 4 colors. 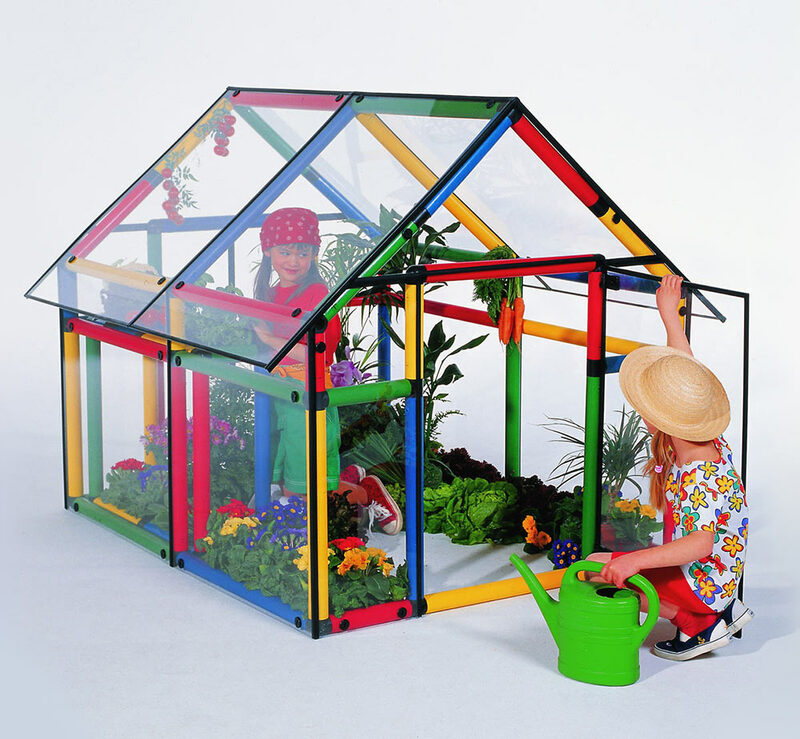 The plexiglas panels found their way to QUADRO in order to build green houses. 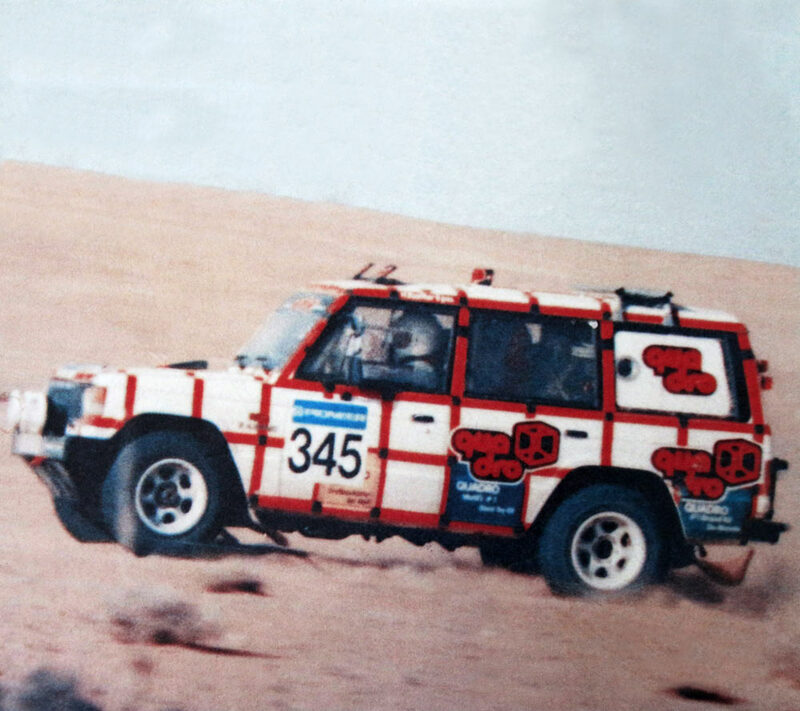 And off to the races at the Paris-Dakar Rally! 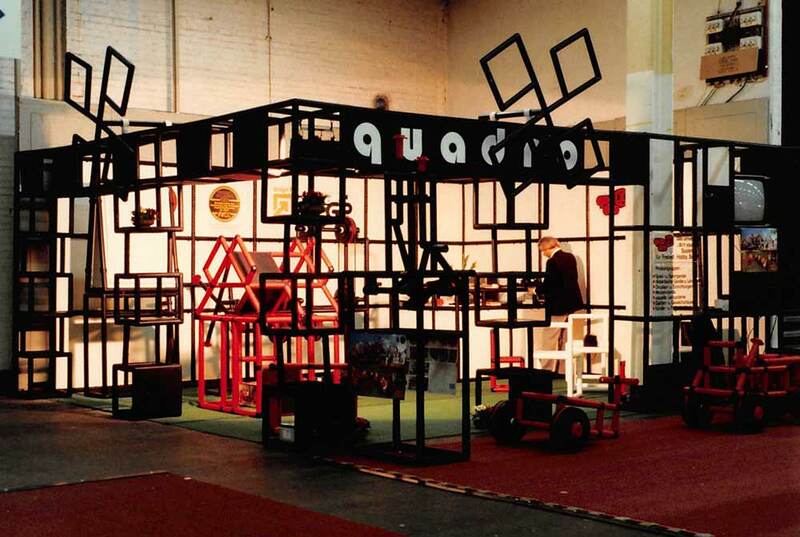 The QUADRO Poolhouse wins Product of the Year from the German Trade Association for Plastic Consumer Products. 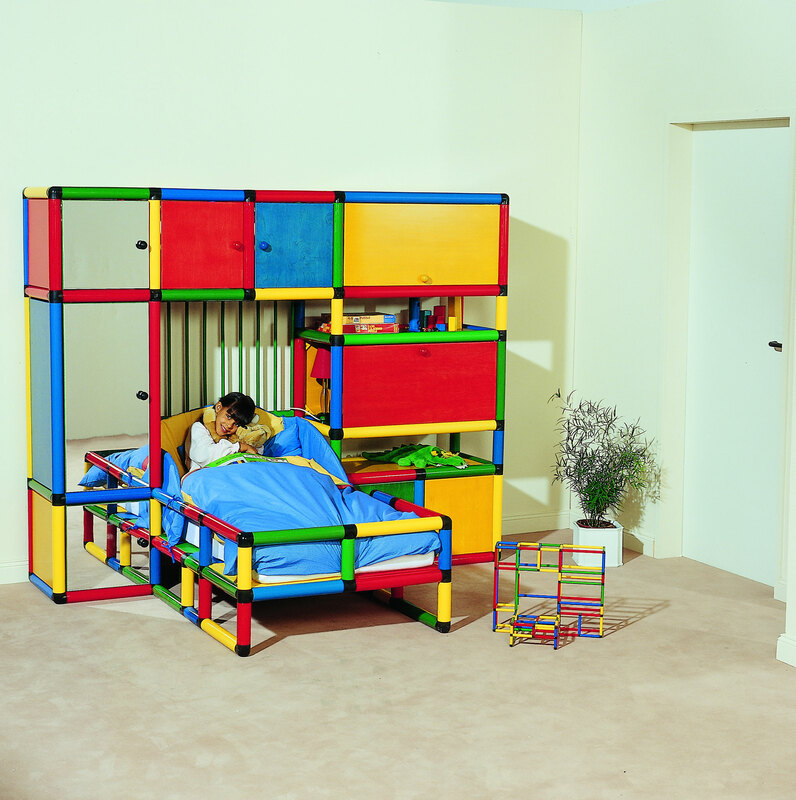 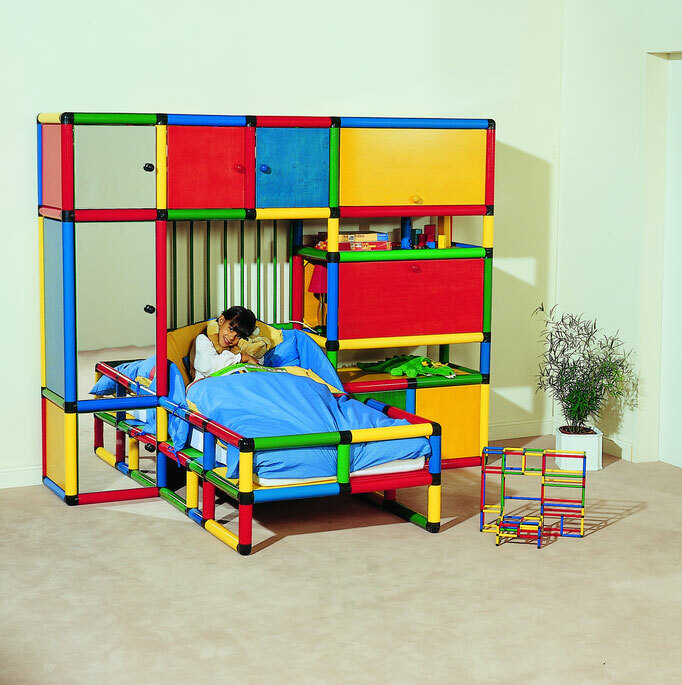 The QUADRO bedroom set wins Product of the Year from the German Trade Association for Plastic Consumer Products. 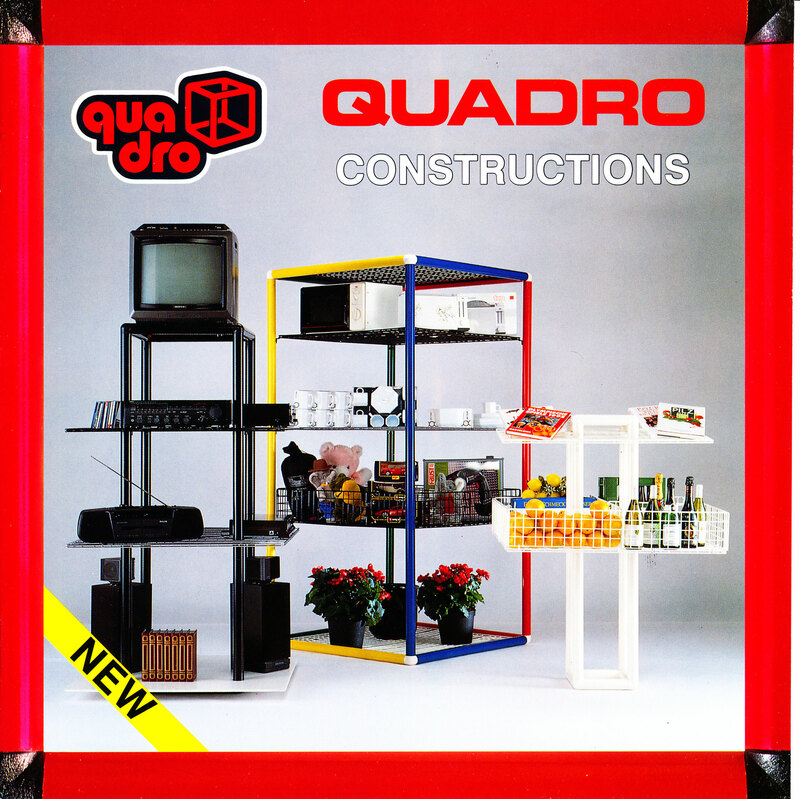 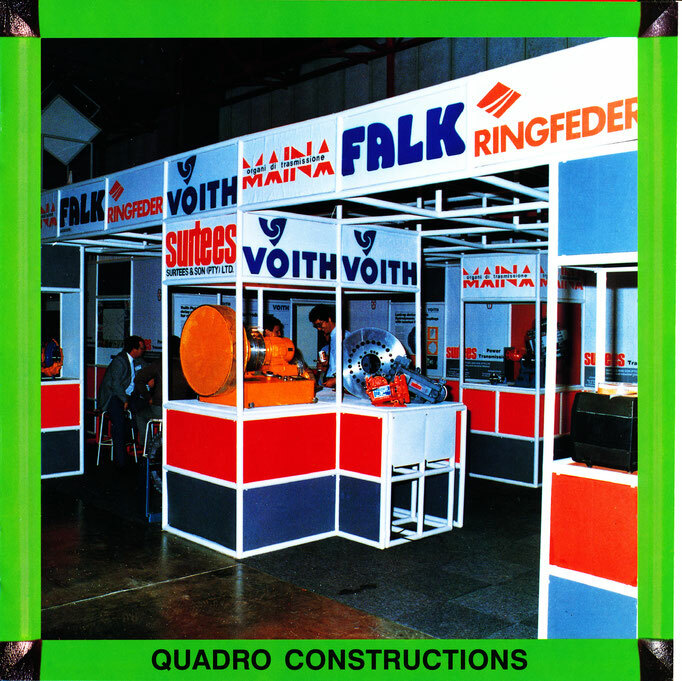 QUADRO Holding / Süd Ltd., now QUADRO DER GROSSBAUKASTEN GmbH based in Hamburg, Germany, is responsible for further development, production and marketing of QUADRO. 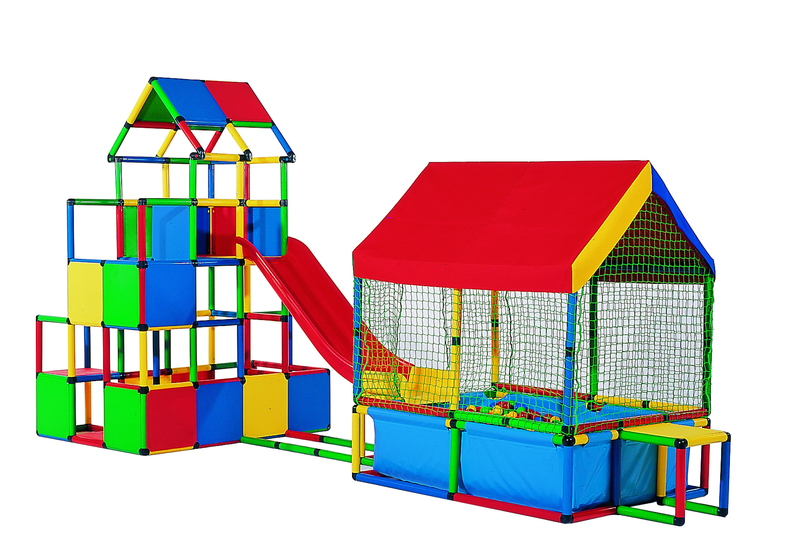 The product is redeveloped to meet the highest industry safety standards. 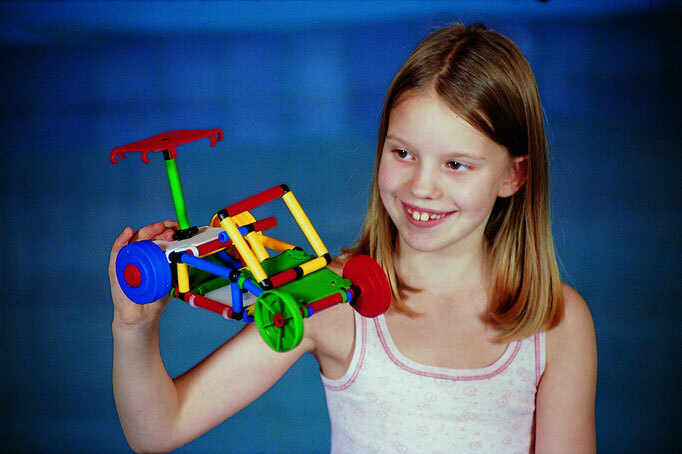 At the same time, our manufacturing and packaging capabilities are expanded to keep up with sales.